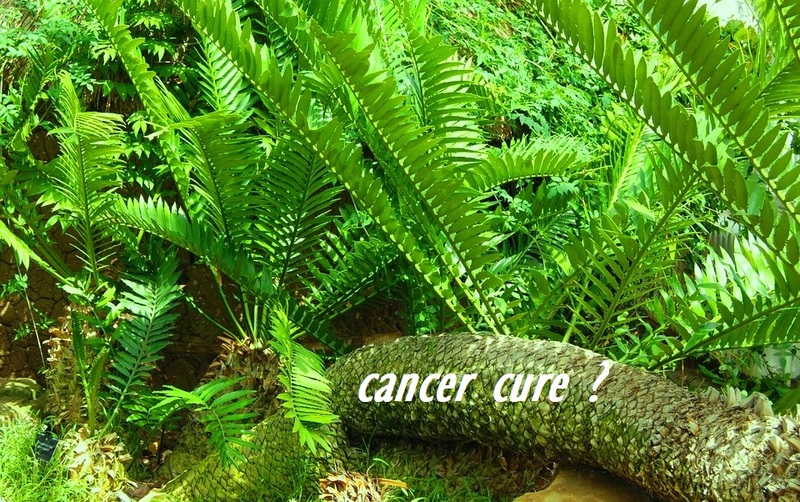 Is Cancer’s Cure in the Rainforest? Nature has provided medicine for many ailments. A male breast cancer survivor asks, why not this one? Those of us with cancer in our lives are cautious whenever talk of a “cure” is brought up – and for good reason. It’s not that we don’t believe it will happen one day. But a single cure for cancer is no easy task since cancer is not one disease. Over the years we have come to realize that there are more than 200 different types and subtypes of cancer. But science has discovered innumerable medical benefits from plants and animals of the Amazon rain forest. And there are a lot that have yet to be revealed. As an example, The Brazilian Social Wasp is a fierce predator and protector of its nest. The venom that they inject is known as MP1 and scientists have determined that it has some rather amazing properties. The most important being: it kills cancer cells. More importantly, when the venom was tested it killed ONLY cancer cells, leaving the healthy cells around it –- healthy. Although much of this is in the early testing phases, it also seems that the venom contains substances that have so far shown to greatly inhibit the growth of cancer such as prostate and bladder cancer. There are an estimated 8.7 million classified species in the world, and scientists figure that there are 5 million left to be discovered. Add microbes and bacteria to that number and it jumps to 1 trillion. It’s difficult to believe that somewhere out there, a cure for cancer(s) doesn’t exist. In the Amazon rainforest, discoveries of new species including plants, insects and mammals are made every day. The ocean is as mysterious a place to us as space. Fathoms deep, full of life and hard to explore, the ocean has yet to give up all its secrets; scientists estimate that two-thirds of marine life has yet to be found. And with the rates of extinction, many species are winking out before we have a chance to study them. For many years now, scientists have thought that Naked Mole Rats are immune to cancer. The body of these subterranean African mammals is rich in a substance called hyaluronan, which acts as a lubricant in the body and may play a part in the animals’ resistance to cancer. Researchers had never reported finding the deadly disease in the long-living rodents — not in the wild, or in zoos. This was true even after injecting their cells with the same viruses that trigger tumors in mice. Earlier this year however a team of pathologists reported finding two cases of cancer in mole rats housed in zoos. Rather than dashing our hopes that naked mole rats may hold a clue to fighting cancer, the scientists insist that this study may provide additional clues as to what makes mole rats so much less susceptible to cancer than other rodents and species with long life spans. I had a first-hand lesson of the biodiversity of the Amazon during a trip I took there in 1993. Hiking along the muddy banks of the Amazon River, my guide asked our small group of eight adventurers to pick any leaf from a plant along the trail. It was a curious suggestion, but we all picked a single leaf and continued trekking. About 100 yards later, the guide stopped and challenged all of us to match our leaf with any one of the hundreds of plants along the trail. After a few unsuccessful minutes passed, the impact of this astonishing lesson dawned on me. There is such a diversity of plant life in the Amazon basin that even after walking a few hundred feet, an entirely new eco-system flourished. At one point along the trail, I snapped a photo of an amazing looking beetle. It had black and red wings, a pointed body and legs covered in luminescent down. “You’ve discovered a new species” the guide told me. I nearly jumped out of my skin, thinking that the “Khevin Beetle” was about to make its way into every new textbook about coleopterology, and would feature my very own bug. My guide had a good laugh. “We can’t identify and classify them fast enough” he sighed. This one may take years to get rediscovered and named. So much for my contribution to science. I find it curious to try to think ahead, perhaps 100 years from now, and guess where science and medicine will take us. We’ve come a long way since the ancient Egyptians first recorded cancer in humans. The methods and medicines with which we combat our disease have grown exponentially in the last few years. The discoveries seem to be racing our cancers, sprinting toward some unknown finish line. The big question is “which gets there first”? But one thing seems certain. The pain of the quest is only temporary, while the results of our success will last forever.